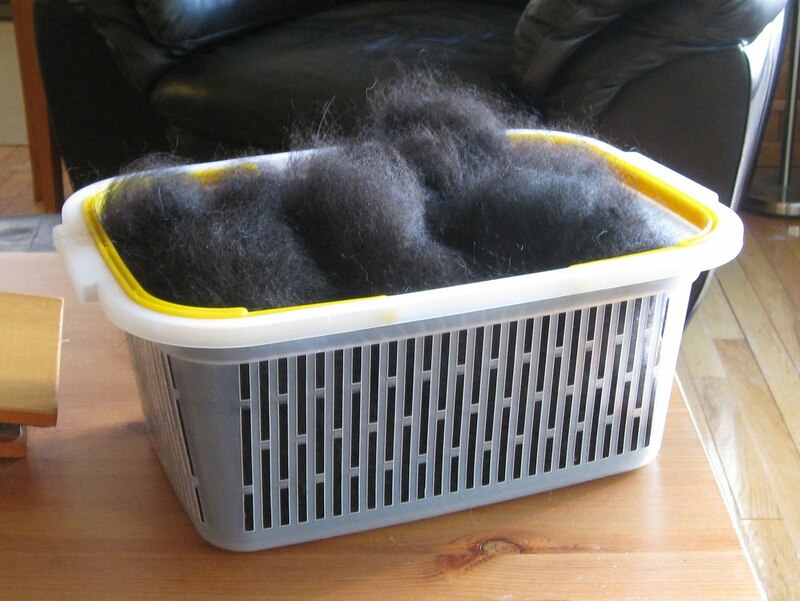 I've finished carding the Bruno fur. Next comes the blending to achieve a graduated yarn that will slowly transition from the Romney to Bruno. Although the final product for the competition is the spun yarn, we were assigned to choose a "fantasy project" that our spun yarn could ultimately be used for. We didn't necessarily have to have enough fiber to complete the fantasy project. If I were really going to make the Faux Astrakhan Cuffed Caplet and Long Gloves from my presentation, I would need 3 skeins of graduated yarn: 1 large enough to knit the caplet and 2 long enough to knit one glove each. I don't have enough fiber to make a caplet and gloves - but, since I would really love to have gloves (well in my case, mittens) with this graduated yarn, I'm making two skeins of graduated yarn, each 60 grams, or a little over 2oz. 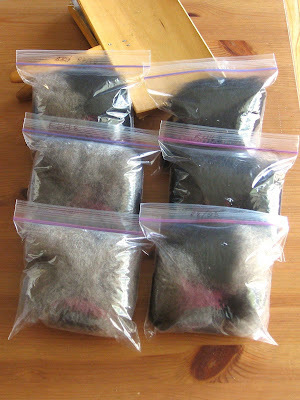 Since I like easy math, I decided to make 6 fluff piles of 10g each, rather than the 5 fluff piles from my sample. This requires the fluff to be 100% Romney, then 80% Romney/20% Bruno, 60/40, 40/60, 20/80, and finally 100% Bruno. 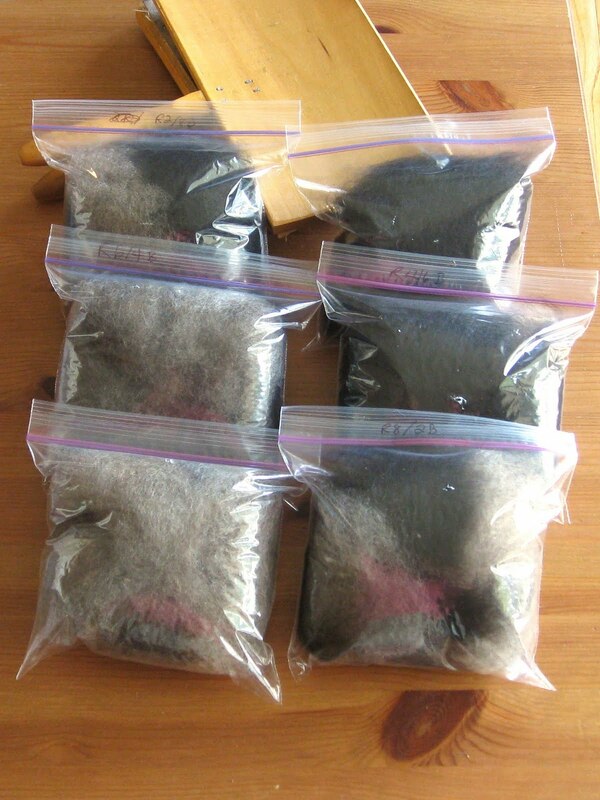 Can you see how easy this math will be with each fluff pile weighing 10grams? Here are the six little baggies ready to hit the hand cards for a blending session. There are two sets of these, but I only took a pic of one. Hope to be able to spin tomorrow.